Latest educational news reaching our news desk this morning is that the National Open University of Nigeria (NOUN) Form for the 2019/2020 Admission Application has just commenced. 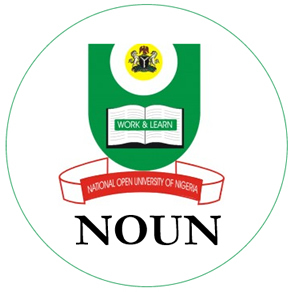 So using this platform, the Dailyschoolnews Nigeria team wishes to inform the general public, and most especially, the sales of NOUN Admission form for the 2019 admission was recently announced by the management. Here’s a recent update for NOUN admission for 2019! For the 2019/2020 Academic Session. SO for you to successfully apply for admission, we would love to notify all interested and qualified candidates, that they should read through this guideline below to successfully registered. All aspirants should note that this entire registration process is electronic and online and operates 24 hours a day. You will be required to fill the National Open University Admission Application form online. Here’s a detailed guide on how to apply online. Skye Bank – Go ask the bank customer support for the official NOUN account. All applying candidates should note that the National Open University would not be accountable for any payment made into any account other than the above-designated banks and account numbers. While the Postgraduate (PGD and Masters) Programmes N7, 500.00 (seven thousand five hundred naira Only). Doctor of Philosophy (Ph.D.) Programmes is N10, 000.00 (ten thousand naira only). 3. Obtain a NOUN Teller specially designed for NOUN for the purpose of payment. 5. Type www.noun.edu.ng and click on application form. 7. Complete the online NOUN admission application form by providing the required information. 9. Having completed all the above steps, you may submit your form by clicking the submit button at the bottom of the displayed screen. 10. You can now print out your provisional admission letter. Applicants of the 2019/2020 National Open University of Nigeria admission are advised to insist on paying the stipulated cost only and obtain an official receipt at the point of payment. Applicants are advised to insist on paying the stipulated cost only and obtain an official receipt at the point of payment. But you can do yourself lots of good by registering now, to avoid certain issues like rush hour registration, among others. Please don’t forget to share this information with your friends on facebook and twitter, using the share buttons below. I want to know if d admission form is out for sale? When did u got d form?why is the admission so early? This means you can apply. Is the admission form still on sale? Yes, Janefrances, the registration portal of NOUN is always, i mean always open and runs throughout the year! Please, I’ve tried to fill the form but the page isn’t opening, it says it is unavailable. Please what can I do? You need to revisit the page once again and fill the form, because there must be lots of traffic from fellow candidates/students trying to visit the NOUN official website. Please I like to study transportation and logistics management. Hope is available in NOUN. Like i previously said Tosin, it’s always open and you can visit the institution for more details. Well, thank God you’re aware that the admission form has been released. am so sorry to ask, am really interested in this institution bt am so confused. pls clear me. I studied Library and Information Science, which d institution do nt offer, so my lecturer advised me to do pgde to breach d gap of HND and BSC. my question is : Is ur certificate acceptable by other institutions? can I be offered MBA admission cos of my HND result(Distinction) as stated by the institution? Pls reply mr cos its important I wanna start now. You mean to ask, if the National Open University of Nigeria certificate is acceptable by other institutions? The answer is YES, this is one of the biggest schools in Nigeria. please don’t you have provision for Direct Entry? I am an NCE holder and working. Do you offer a part time degree programme in geography or any other related course ? What are the requirement? Anticipating your response, please. Yes, NOUN offers part time studies, you should visit the school for more information. Best wishes. Please,is there psychology course at national open university of nigeria? WHEN IS THE NEWLY ADDMITED STUDENT STARTING THEIR REGISTRATION? You can start right now, you should visit the school for more details and answers to other questions. best wishes to you Abubakar. Pls does Noun studnt go for NYSC? Just like other normal schools. You don’t need to worry about not going to service, all NOUN legit students go to service now. About Job, i don’t think so, because i have seen people with good paying jobs from NOUN and NOUN always goes for service. Best wishes Subair, we always advise you to do what you think is best. am an ND holder, what are the requirement to gain admission in to the school? Do NOUN study economics ? Yes Oyetunde, they do study it as a course. sorry sir can someone with nabteb attend noun? do dey do mass communication in calabar study center? do you people go to service? Yes Isiaq, NOUN goes to service. when is medical laboratory science course going to start. For now, we don’t actually know the date, but when it’s out, we will surely get you informed. Best wishes. I gained admission in 2011, but i did not continue due to my ill health. can i still use the admission this year or i need to purchase another form. Also, why is it that the exams are not online as well since most people in the school are working. The exams are not during weekends but during working days and hours. My friend had to defer her admission because she could not continue due to the fact that she was not granted permission to write her exams. if this aspect can be improved, it will be appreciated. You can process everything in the bank, before going to the school.